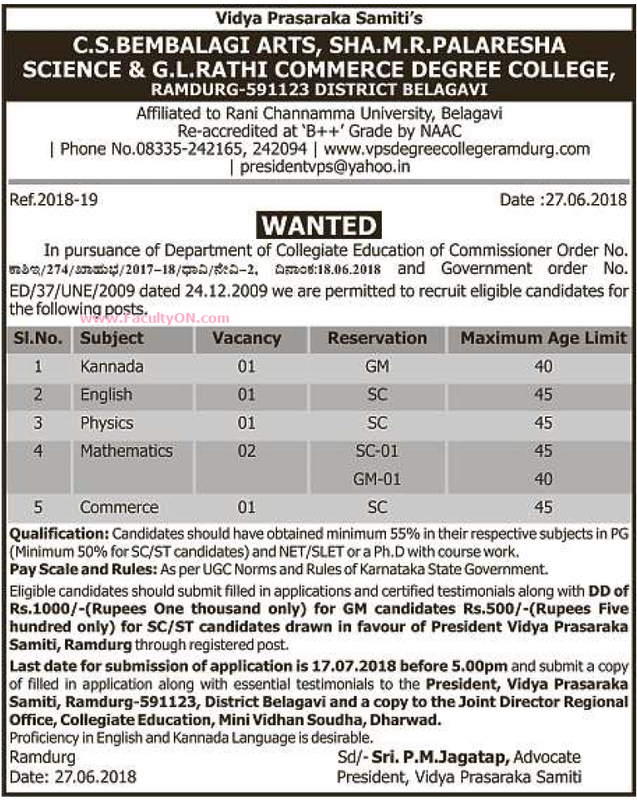 G.L.Rathi Commerce Degree College, Belagavi has advertised in the DECCAN HERALD newspaper for the recruitment of Teaching Faculty- Assistant Professor jobs vacancies. Interested and eligible job aspirants are requested to apply on or before 17th July 2018. Check out further more details below. Application Fee: DD of Rs.,1000/- for GM candidates and Rs.500/- for SC / ST candidates drawn in favour of President, Vidya Prasaraka Samiti, Ramdurg.